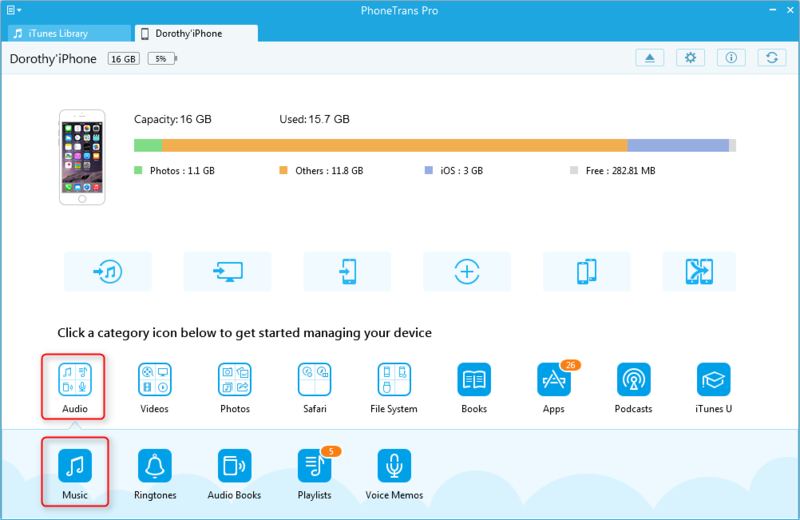 PhoneTrans Pro provides you with an easy way to transfer all your favorite music or some of them. It enables you to move music from your iPhone to your PC&Mac and vice versa. Please refer to the steps below to start transferring music to computer. Step 1: Open PhoneTrans Pro and connect your iPhone to the computer. You can give a view on the basic information about your iPhone. 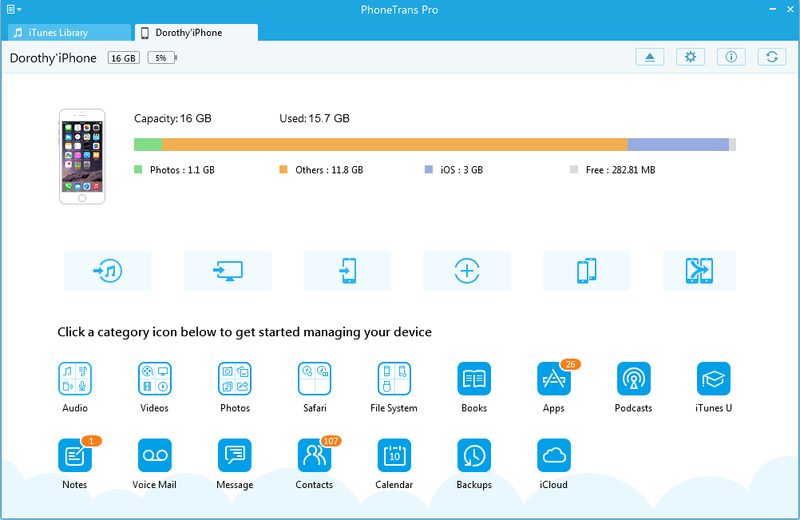 Step 2: On the homepage of PhoneTrans Pro, select Audio and click Music to enter the music manage page. Step 3: Choose songs you want to transfer to your computer and then press the button.